File and user migrations between clouds made easy! Transfer any file or any number of users from one cloud to another easily, safely, and quickly. Besides migration, sync multiple cloud storage accounts one-way or two-way for smooth cloud-to-cloud backups. CloudFuze has the distinction of being a recognized cloud migrator in the industry. It is the leading migration engine for cloud file transfers built on top of a powerful cloud platform. Cloud based file transfer is as easy as dragging files from the source cloud to the destination cloud, with CloudFuze. Choose a plan that suits your data transfer and get started right away. Get in touch with us and we will help you transfer your enterprise data. 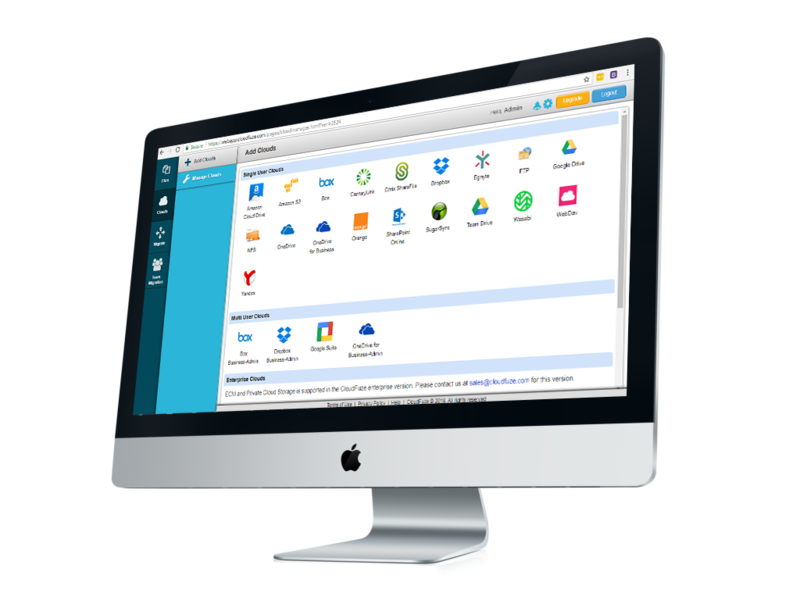 CloudFuze securely tracks each cloud’s file and folder migration. You will receive a full report with a list of each file and folder moved between cloud storage services. You also have an option of setting up alerts to notify you, whenever cloud to cloud file transfer completes. Incremental Migration, also referred to as delta migration, ensures complete migration of data from the source cloud to the destination cloud, including the changes to the data that happened during migration period. This way, you or your organization can continue using the cloud storage. Transfer data between 40+ leading consumer and enterprise clouds such as DropBox, Google Drive, OneDrive, Azure, and SharePoint. Manage, govern, and audit users, devices, content, and file/folder permissions in a centralized admin console. All the critical and sensitive enterprise data is encrypted to ensure maximum safety during the migration or synchronization process. 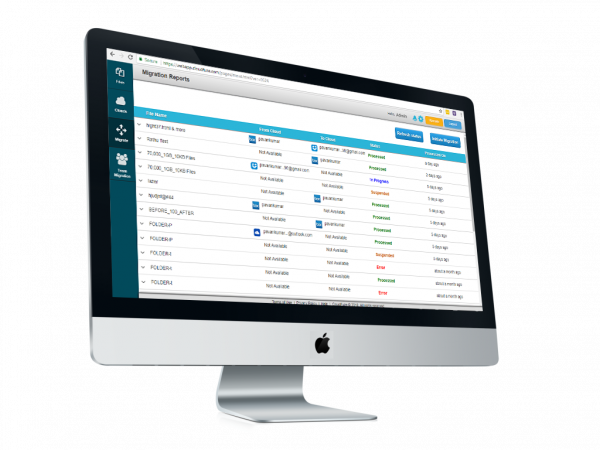 CloudFuze provides reports detailing the number of files moved plus additional information to help you keep track of everything. CloudFuze’s powerful migration engine ensure quick and flawless migrations no matter how large and complex the data is. CloudFuze allows you to move a particular file, folder, or a group of users from your existing cloud to a new cloud. It’s fast and easy! Whether you are an individual or an enterprise, CloudFuze can help you transfer your cloud files effortlessly. 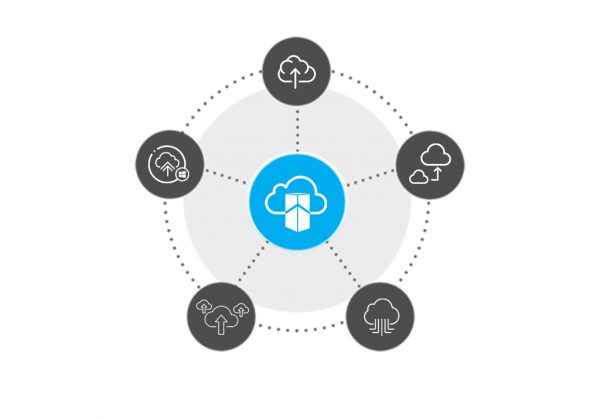 Migrate your enterprise data from one cloud to another.